Long positions above 1.1665 with targets at 1.1715 & 1.1735 in extension. Below 1.1665 look for further downside with 1.1645 & 1.1610 as targets. 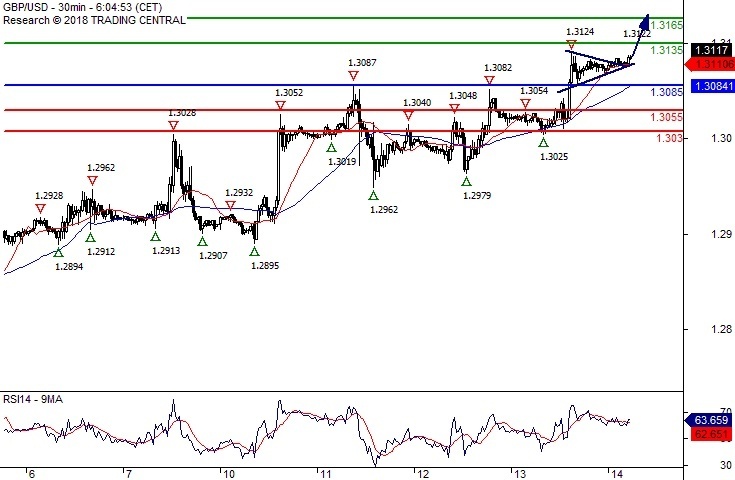 Long positions above 1.3085 with targets at 1.3135 & 1.3165 in extension. 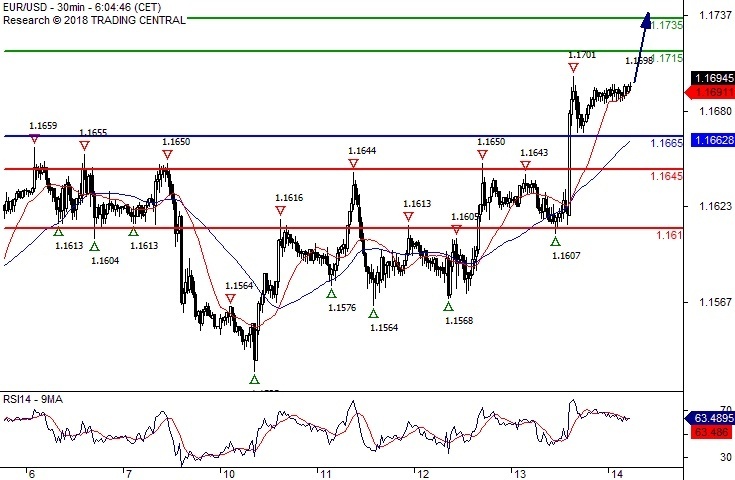 Below 1.3085 look for further downside with 1.3055 & 1.3030 as targets. The RSI calls for a new upleg. Long positions above 111.75 with targets at 112.10 & 112.35 in extension. 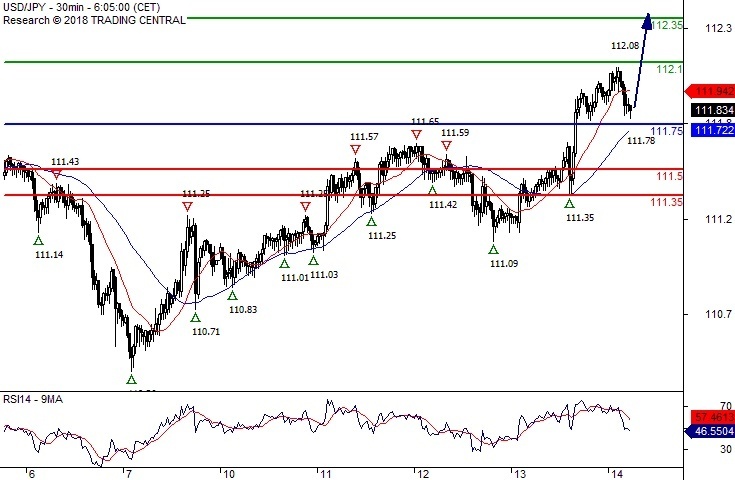 Below 111.75 look for further downside with 111.50 & 111.35 as targets. Intraday technical indicators are mixed and call for caution.